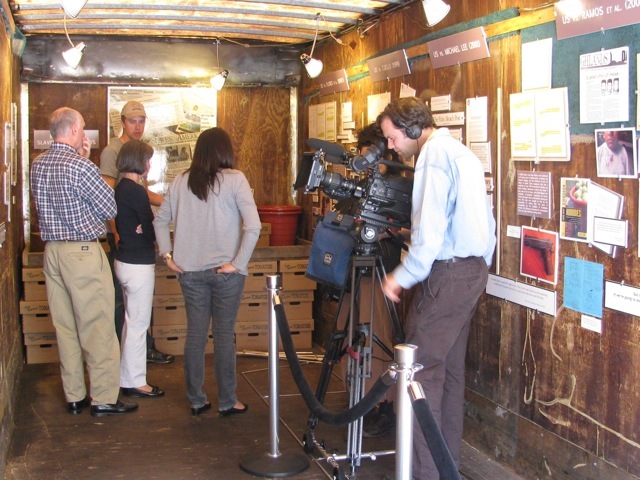 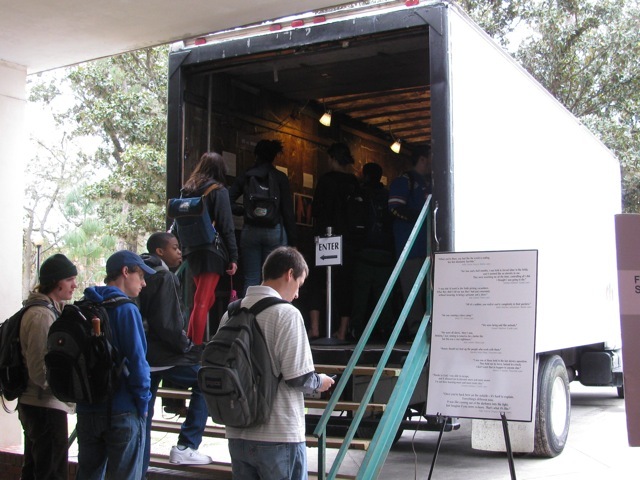 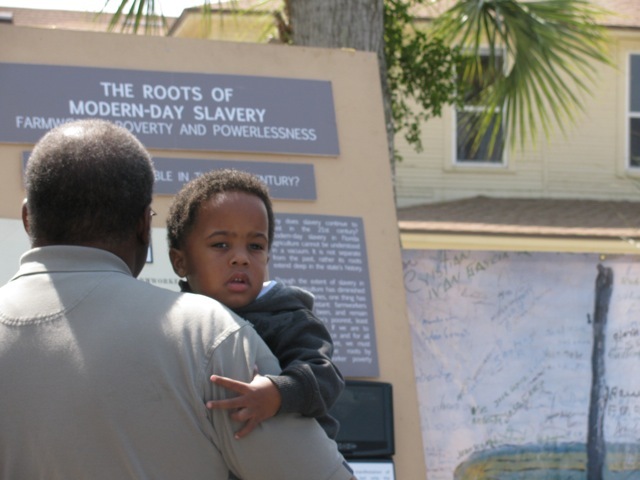 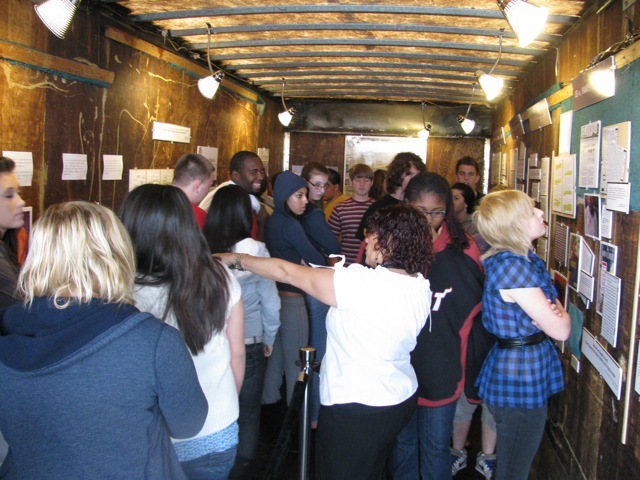 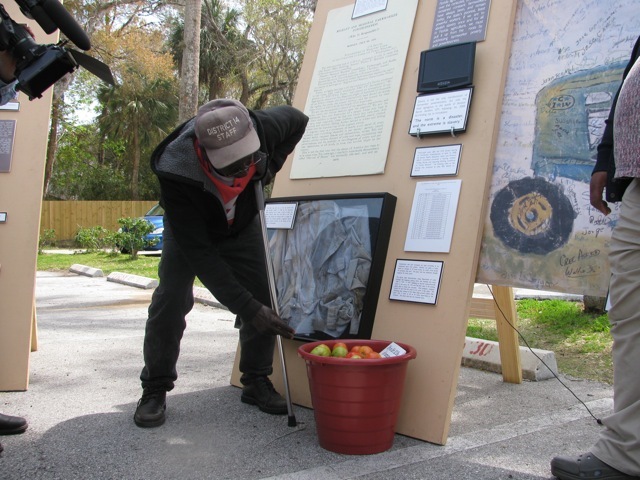 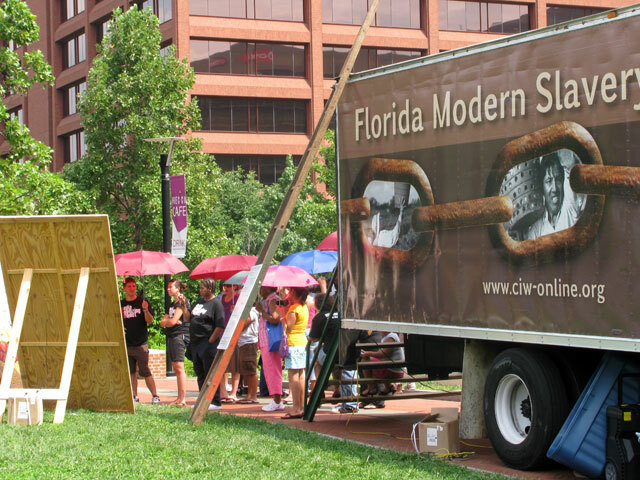 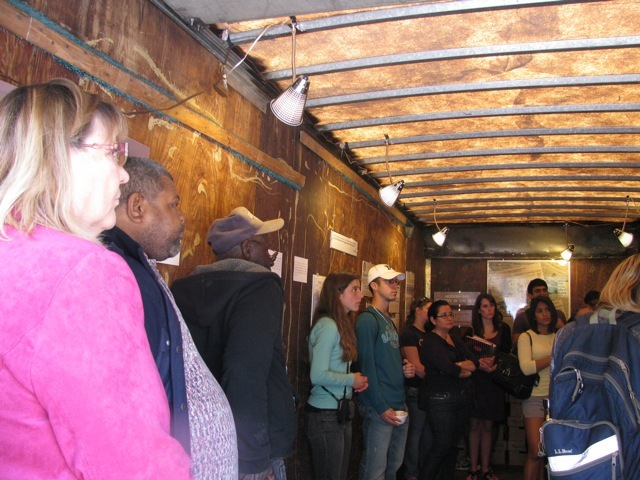 The Florida Modern-Day Slavery Museum consists of a cargo truck outfitted as a replica of the trucks involved in a recent slavery operation (U.S. v. Navarrete, 2008), accompanied by displays on the history and evolution of slavery in Florida. 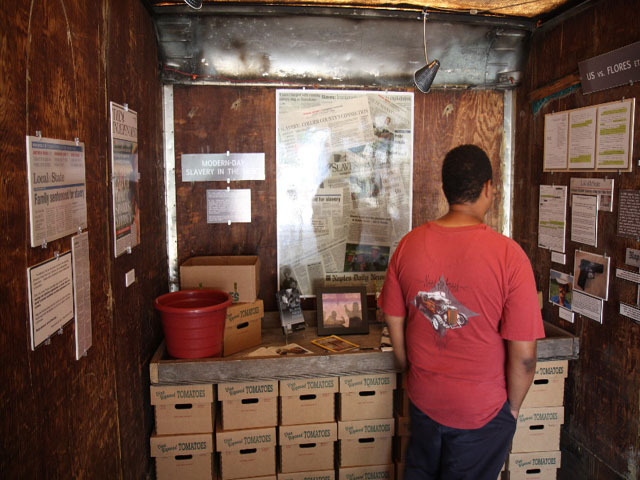 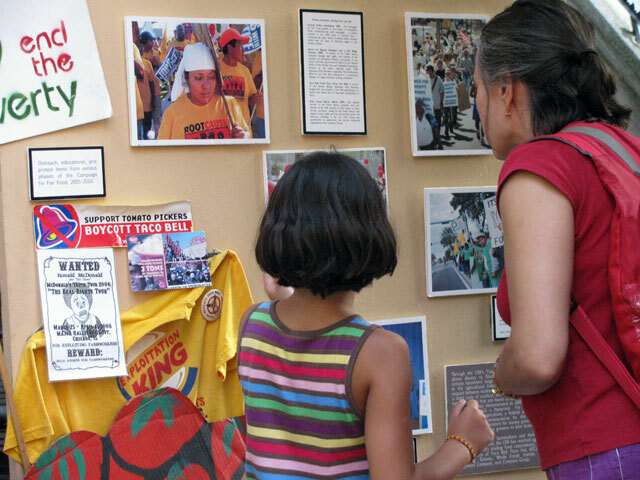 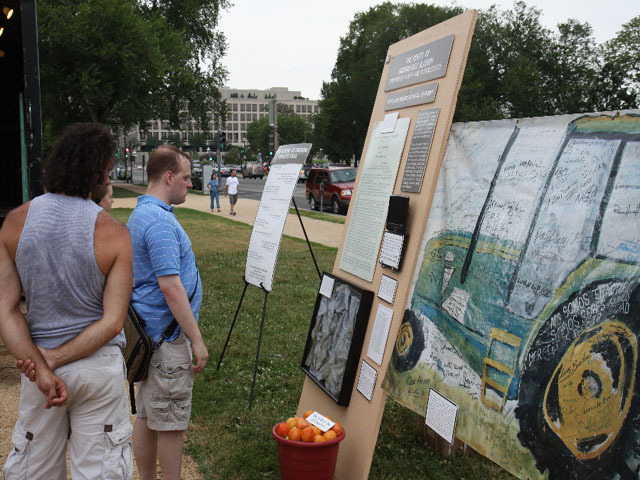 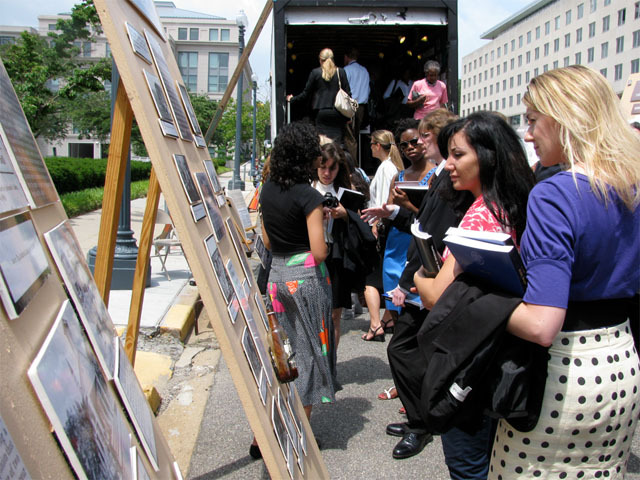 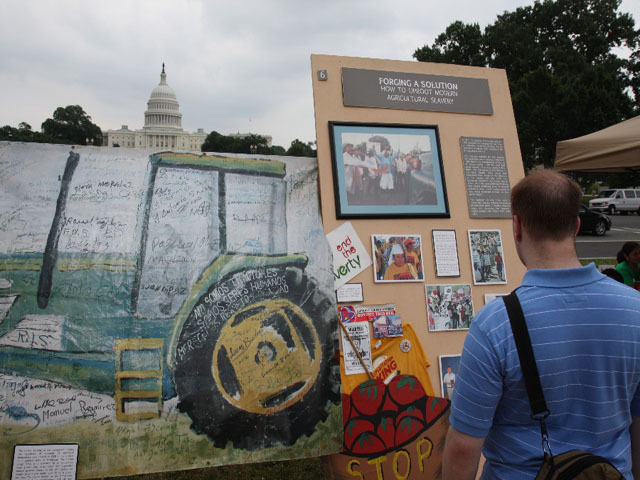 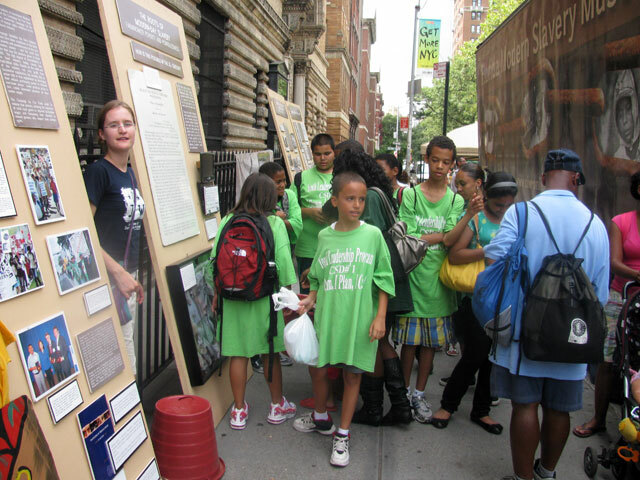 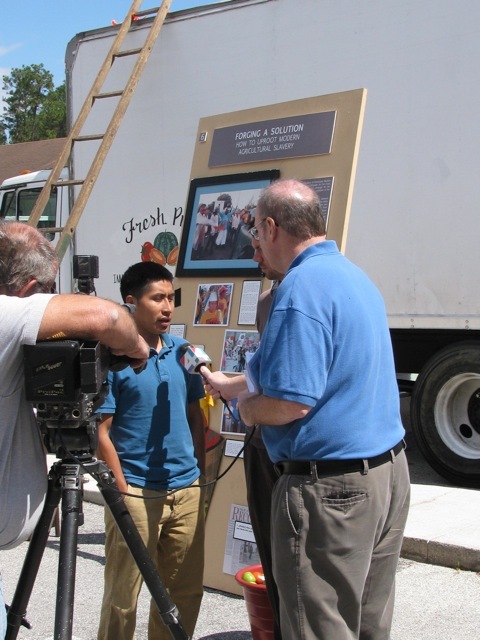 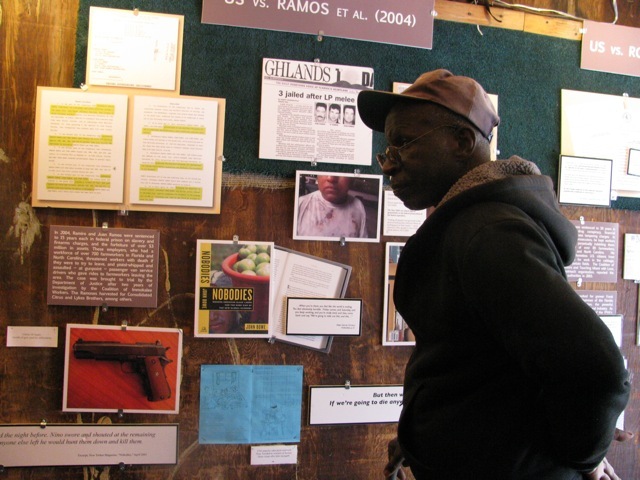 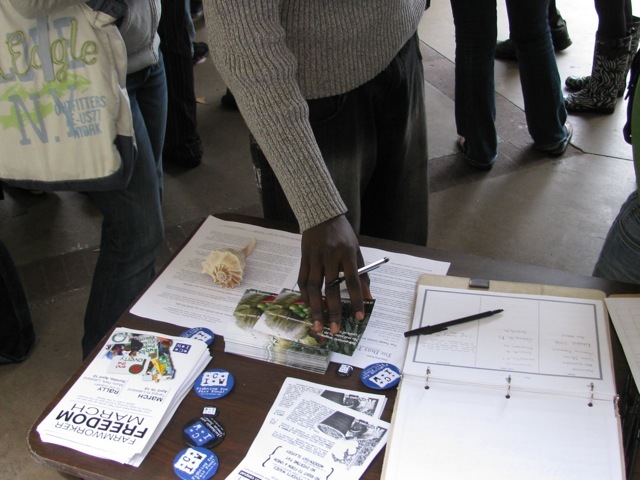 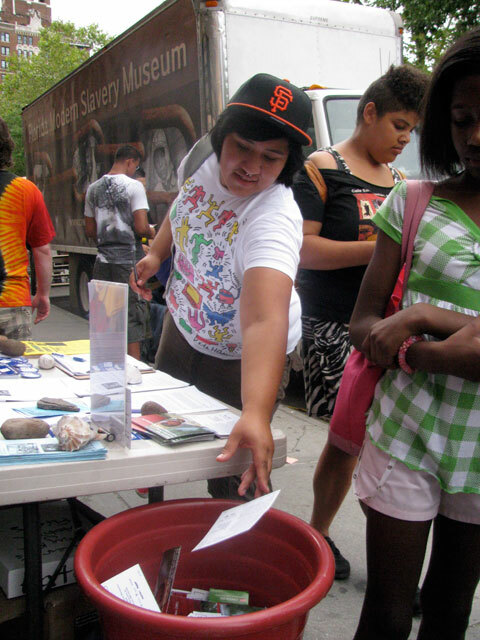 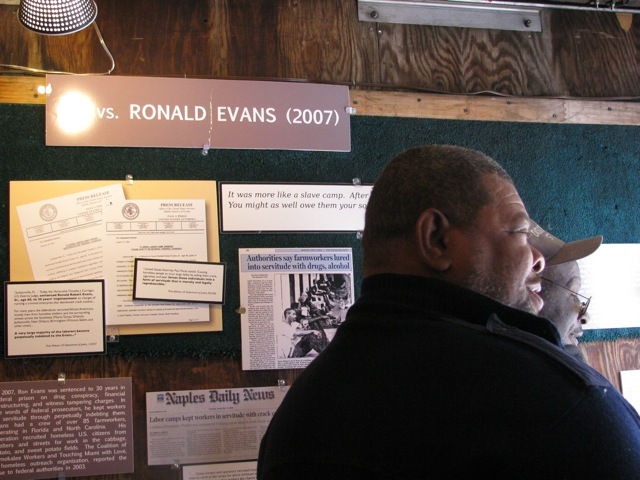 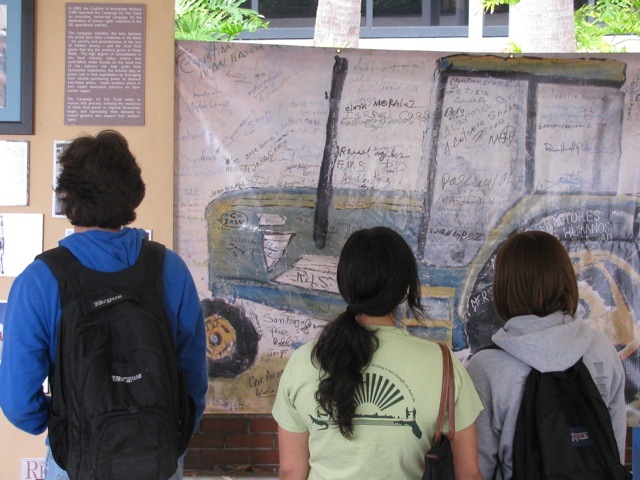 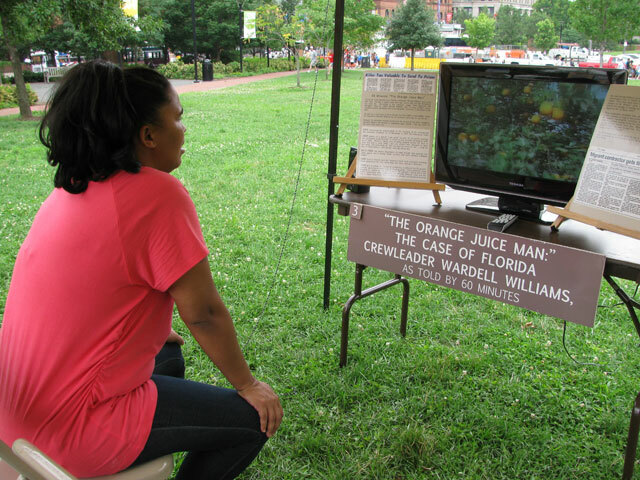 The museum toured the state intensively for six weeks in the lead-up to the 2010 Farmworker Freedom March, and was exhibited in various cities in the Northeast in the summer of 2010. 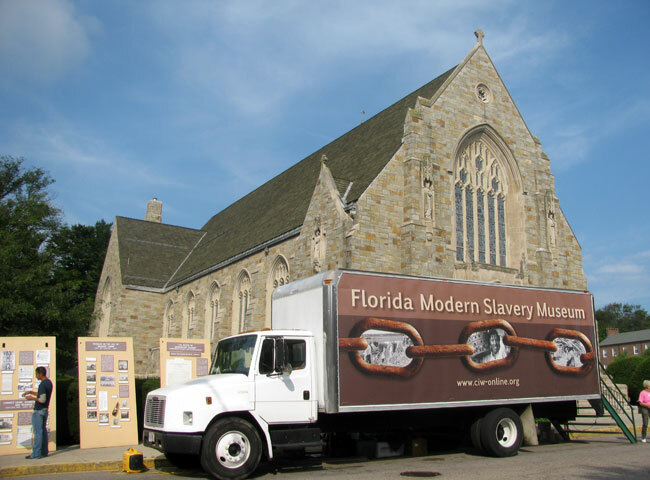 Since then, it has toured across the Southeast to many universities, churches, and conferences, bringing a new-found level of consciousness to communities about the history of slavery. 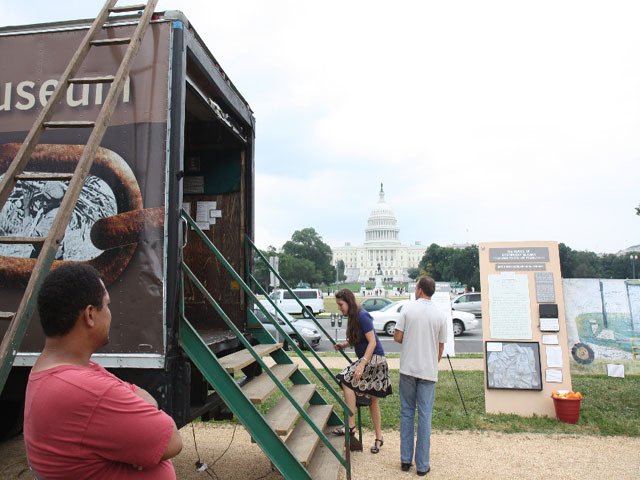 It has also been hosted at the U.S. State Department and National Mall in Washington, D.C. 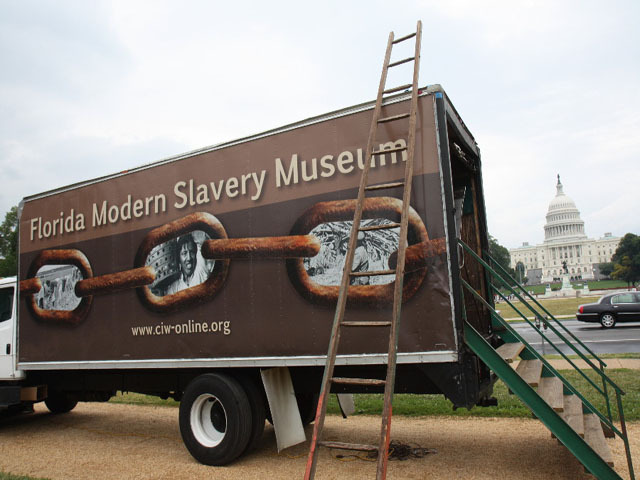 The museum's central focus is on the phenomenon of modern-day slavery – its roots, the reasons it persists, and its solutions. 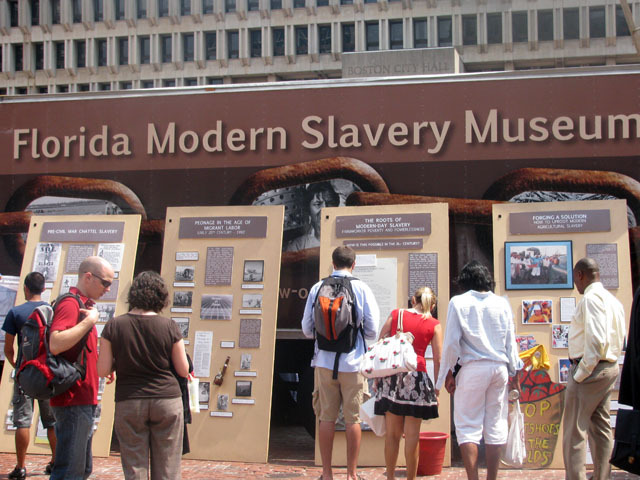 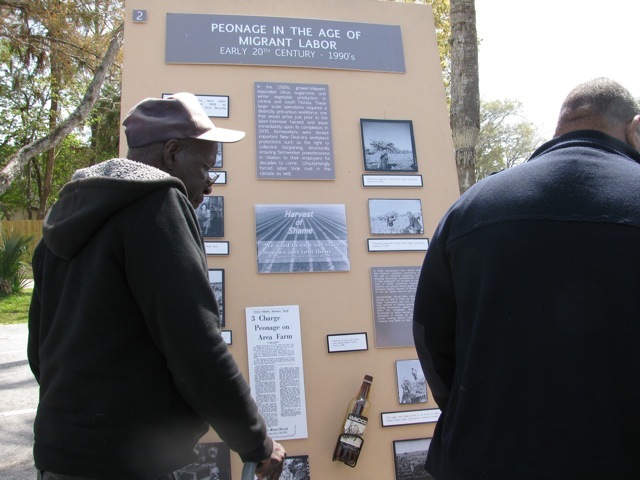 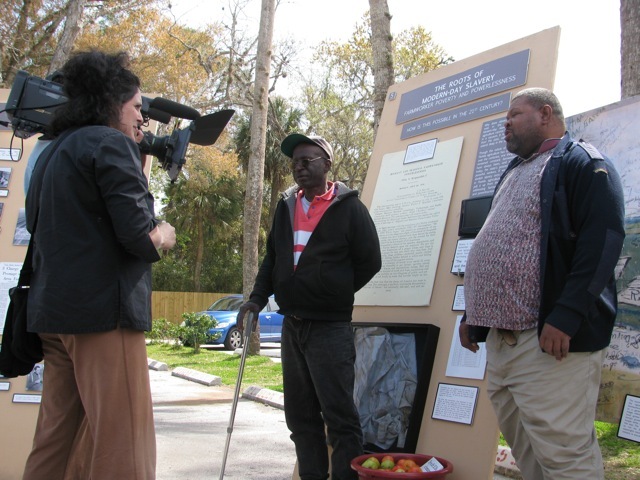 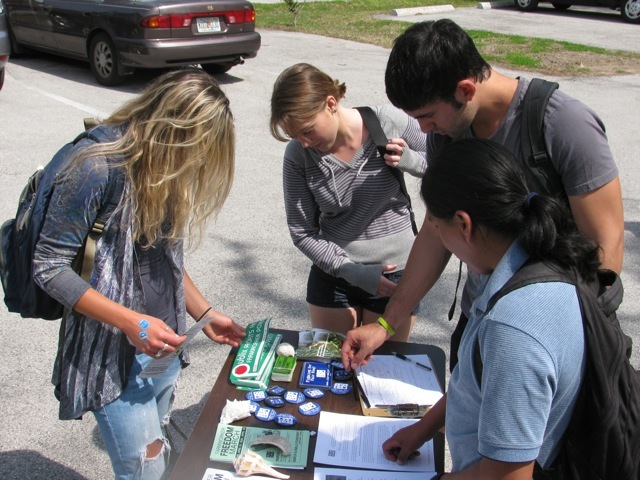 The exhibits were developed in consultation with workers who have escaped from forced labor operations as well as leading academic authorities on slavery and labor history in Florida. 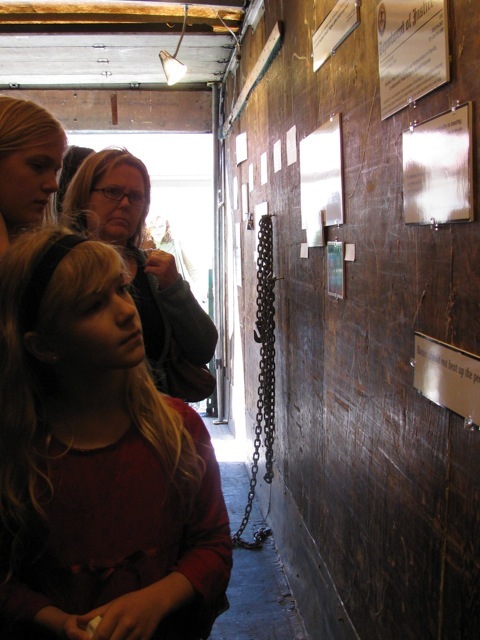 Click here to download the museum's accompanying booklet. 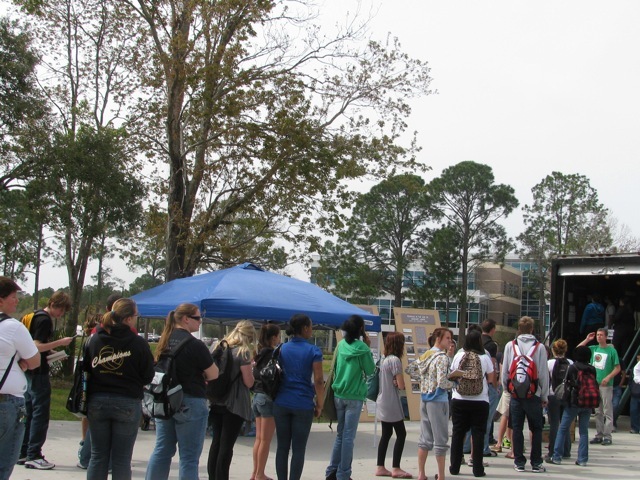 "Where are you on the food chain?" 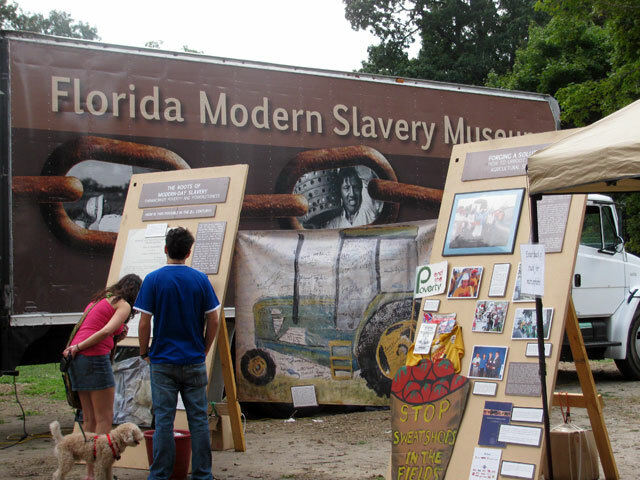 "In Florida, slavery still haunts the fields"
"Rolling museum casts spotlight on current day forced labor"
"Mobile museum focuses on poor conditions for Florida ag workers"
"Modern Slavery Museum is an eerie reminder of how little we've progressed"
"Modern slavery in spotlight: Immokalee coalition debuts mobile museum"
"Modern-day slavery museum reveals cruelty in Florida's fields"
"Farmworker slavery exhibit shocks many during stops in Naples"
"Grown in Florida: Oranges and modern slavery"
"Florida's modern slavery museum spotlights plight of farm laborers"
An impressive line-up of ten leading human rights and anti-slavery organizations have signed-on as endorsers of the Florida Modern-Day Slavery Museum. 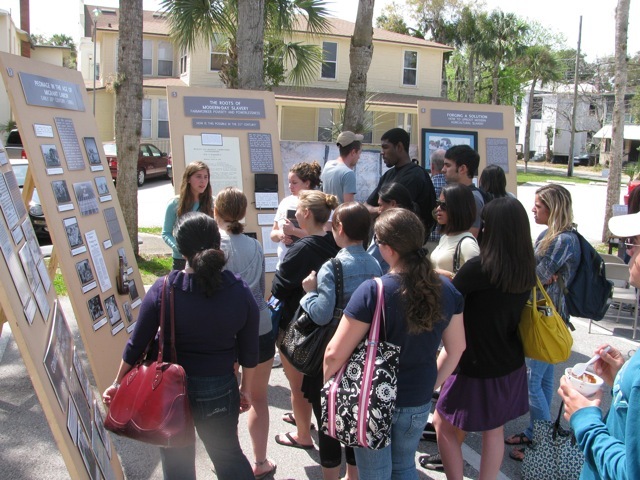 From left to right, above: (top row) Anti-Slavery International, Amnesty International USA, National Economic and Social Rights Initiative, Free the Slaves, Robert F. Kennedy Center for Justice and Human Rights; (second row) Florida State University Center for the Advancement of Human Rights, Freedom Network USA, Human Trafficking Awareness Partnerships, Realizing Rights: The Ethical Globalization Initiative, and Florida Immigrant Advocacy Center (FIAC). 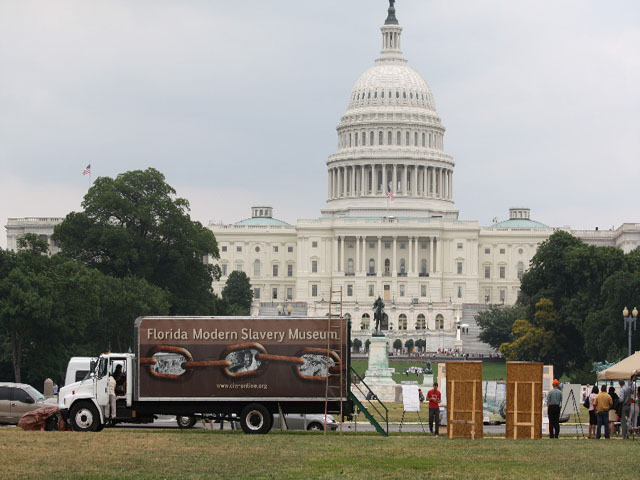 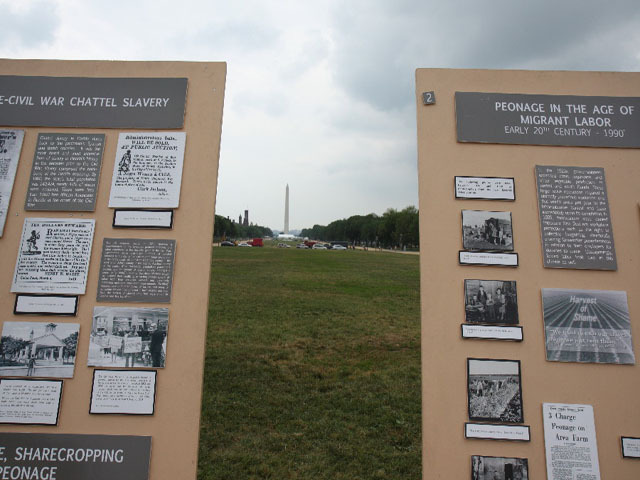 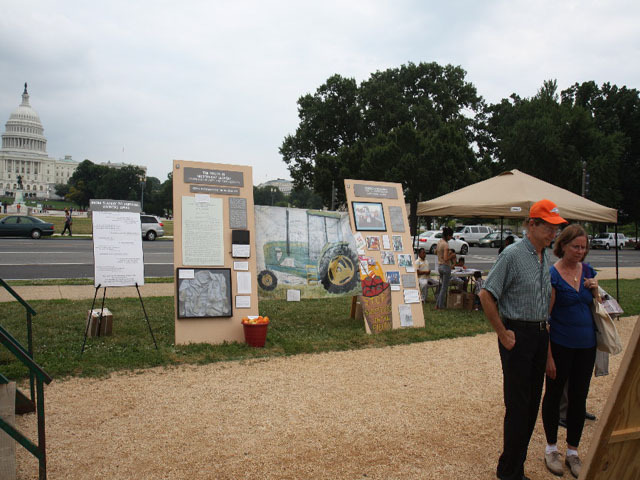 Modern-Day Slavery museum during a two-day exhibition on the National Mall in July 2010.